I am an associate professor of archival science at the iSchool and lead of the Blockchain research cluster, Blockchain@UBC at the University of British Columbia – Canada’s largest and most diverse research cluster devoted to blockchain technology. My current research is focused on risk to the availability of trustworthy records, in particular in blockchain record keeping systems, and how these risks impact upon transparency, financial stability, public accountability and human rights. I have organized two summer institutes for Blockchain@UBC to provide training in blockchain and distributed ledger technologies for undergraduate and graduate students from across UBC. I hold a doctorate from University College London (Archival Studies, 2002), and have been a Certified Information Systems Security Professional (CISSP) since 2005. I have received many awards for my professional work and research, including the 2015 Emmett Leahy Award for outstanding contributions to the field of records management, a 2015 World Bank Big Data Innovation Award, and a 2016 Emerald Literati Award for my research on blockchain technology. 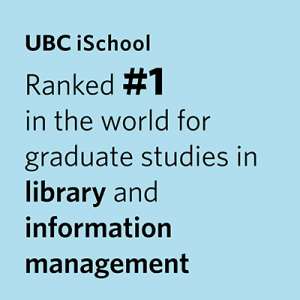 I am also a faculty associate at multiple units within UBC, including the Peter Wall Institute for Advanced Studies, Sauder School of Business, and the Institute for Computers, Information and Cognitive Systems. Lemieux, Victoria L. “Blockchain Technology Paradigm.” In Patricia C. Franks. Records and Information Management (2nd edition). American Library Association (forthcoming). Lemieux, Victoria L. and Stephanie E. Trapnell, “Guide to the Implementation of Right to Information Laws,” Washington, DC, World Bank, July 2016. 159 p. ISBN: 978-1-4648-0879-1. Lemieux, Victoria L. “Terry Cook”. In Luciana Duranti and Patricia C. Franks (Eds.). Encyclopedia of Archival Writers. NY: Rowman & Littlefield Publishing Group (forthcoming). Lemieux, Victoria L. “The Future of Archives as Networked, Decentralized, Autonomous and Global.” In Caroline Brown, Ed.). Archival Futures. London: Facet Publishing (forthcoming). Lemieux, Victoria L. “Recordkeeping, Strategic Priorities, and Governance in Small Island Caribbean Communities.” In Jeannette A. Bastian, Stanley Griffin, and John A. Aarons (Eds.). Decolonizing the Caribbean Record: An Archives Reader. NY: Litwin Books, 2018. Marciano, Richard, Victoria L. Lemieux, Mark Hedges, Maria Esteva, William Underwood, Michael Kurtz, and Mark Conrad, “Archival Records and Training in the Age of Big Data.” In J. Purcell, L.C. Sarin, P.T. Jaeger, J.C. Bertot (Eds.). Re-envisioning the MLS: Perspectives on the Future of Library and Information Science Education (Advances in Librarianship) : Volume 44B, pp. 179-199. NY: Emerald Publishing Ltd., 2018. Lemieux, Victoria L. and the imProvenance Group, “Provenance: Past, Present and Future in Interdisciplinary and Multidisciplinary Perspective.” In, Lemieux, Victoria L. (Ed. ), Building Trust in Information – Perspectives on the Frontiers of Provenance. Berlin-Heidelberg, Springer-Verlag, 2016, pp. 3-48. Lemieux, Victoria L, ed. Financial Analysis and Risk Management: Data Governance, Analytics and Life Cycle Management. Frankfurt: Springer, 2013. 206 p. ISBN: 978-3642322310. Lemieux, Victoria L. Evaluating the Use of Blockchain in Land Transactions: An Archival Science Perspective. European Property Law Journal (December 2017): 1-49. doi.org/10.1515/eplj-2017-0019. Lemieux, Victoria L., “Blockchain Recordkeeping: A SWOT Analysis,” Information Management (November/December 2017): 20-27. Lemieux, V. L. Trusting Records: Is Blockchain Technology the Answer?. Records Management Journal, 26 (2): 2016. Received Emerald Literati Outstanding Paper Award. Flood, Mark, Victoria L. Lemieux, Margaret Varga and William Wong, “The Application of Visual Analytics to Financial Stability Monitoring,” Journal of Financial Stability (January, 2016). doi:10.1016/j.jfs.2016.01.006. Victoria L. Lemieux, Stephanie E. Trapnell, Jesse Worker, and Carole Excel, “Transparency and Open Government: Reporting on the Disclosure of Information,” JeDEM – eJournal of eDemocracy and Open Government 7, 2 (2015). : 75-93. http://www.jedem.org.